The following links contain information about early residents of Pennsylvania, Virginia and Ohio who had the name Piersol and its variant spellings. + Peirsol - Which Peirsol was killed by Native Americans? 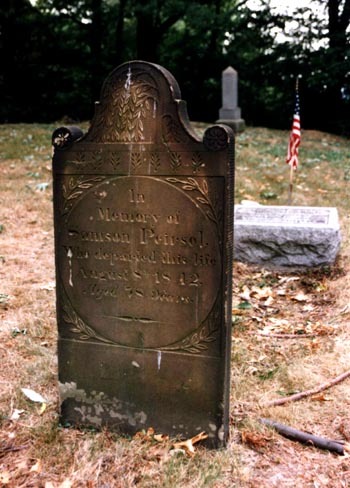 Grave of Samson Peirsol in Beaver County, Pa.